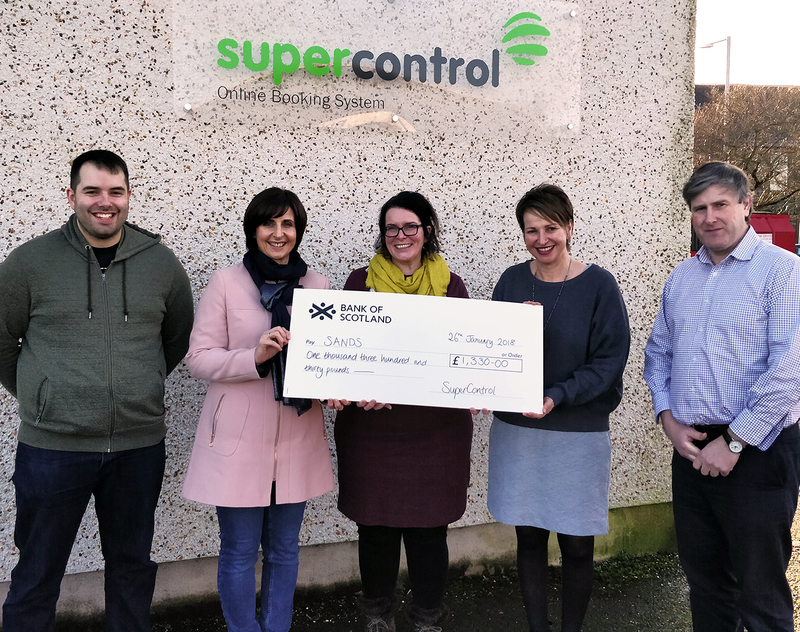 The team of six – four based at SuperControl HQ in Castle Douglas and two from the company’s office in Poland organised some fun challenges to raise funds for this worthy case, including a race day at the office and a 630-mile virtual cycle race to Eindhoven in the Netherlands. Team member, Jo Blaylock, explains, “Our committee’s term started in September 2017. We wanted to do something fun which everyone could get involved in, and to create some healthy competition along the way. The team also organised a race day at work, where colleagues dressed up for a day at the races and enjoyed a little flutter and participated in a running race around the building – on mops and brooms! Dumfries and Galloway Sands Chairperson, Alison Hall and Vice Chair Susan Dalgleish visited SuperControl’s office in Castle Douglas today, where they were presented with the cheque by charity committee members John Temke and Jo Blaylock, and SuperControl’s Product Director Robert Kennedy. SuperControl is the online booking and management system used by 1,700+ self-catering owners, managers and holiday rental agencies to run more than 30,000 properties in the UK and worldwide. It is the UK’s most fully featured self-catering solution on the market with offices in Castle Douglas and Scotland.